Are you a business owner or professional located in the Greater Hartford area looking to expand sales? Join us for a fun, engaging, money making, educational, meeting. 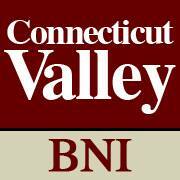 BNI is a strong group of local business owners and professionals that only allows one member per profession. Come check it out and see how they can help you grow by referring quality leads to you. BNI is a world-wide organization of business professionals who work together to develop business, improve training of its members and increase sales opportunities of each members sales team. We have all heard of networking but did you know it is the most powerful and effective method of improving your business? Parking available in back (Orange Lot). BNI welcomes guests to attend a meeting for free to see if the group may be a good fit for your business. Please RSVP. Light refreshments available. Are you a business owner or professional located in the Manchester/ Glastonbury area looking to expand sales? Business networking International or BNI is a worldwide networking organization. The objective of BNI it’s for members to help each other to grow sales and productivity through a collaboration efforts. The group only allows one member of each professional classification so as not to have competition within the group. If anyone is interested in joining a BNI group, you are invited sit in on the meeting as a guest. The meeting is free to attend, but seating is limited. Please RSVP with the information provided. Light refreshments available. Create beautiful designs by mixing different mediums and colors with alcohol to produce this mesmerizing effect. We are so thankful to have such a strong connection with the connecticut arts community. If you haven’t visited WORK_SPACE before, we believe that wall space is synonymous with public art gallery. 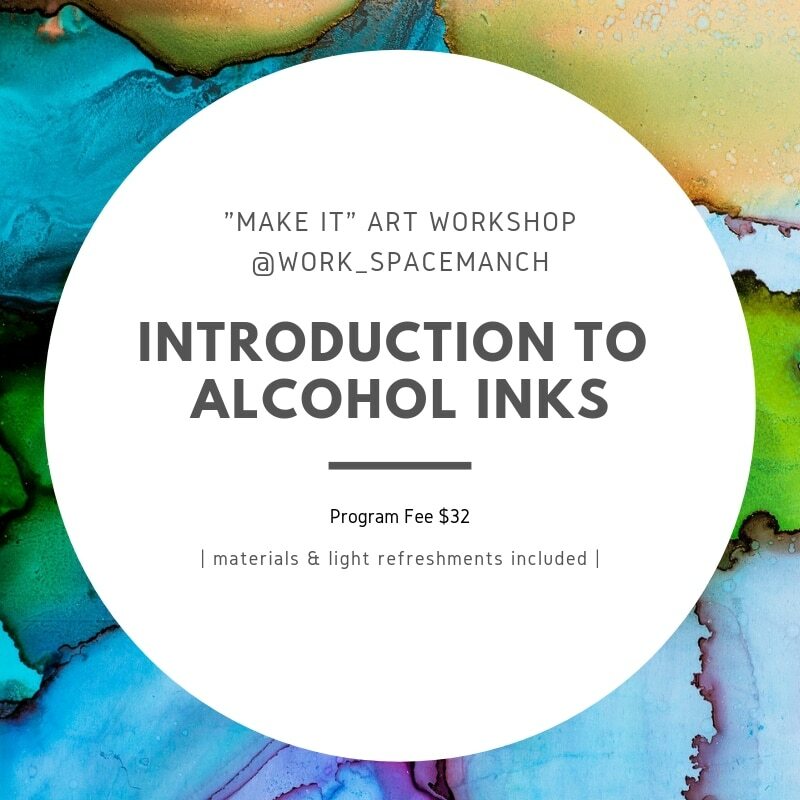 To celebrate this, we are offering a series of art workshops in our main street gallery space. 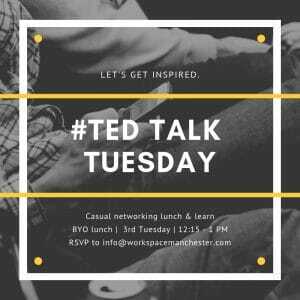 TED TALK Tuesday is a networking gathering where we watch an inspirational video over lunch, discuss the talk, and then eat cake. You bring your lunch (and business cards). WORK_SPACE will provide drinks and cake to celebrate that month’s birthdays. This is a great opportunity to network with other engaged professionals, feel free to share this event with people you’ve been meaning to reconnect with. The theme of February’s TED Talk Tuesday is creating opportunities for yourself. We will be discussing a presentation from a new organization (for us) called 99u. Have you ever had an idea that you wanted to be involved in and execute, but it never quite happened for you? For Kristy Tillman, Design Director for Society of Grownups, this was not only true for her, but at times it felt like the defining sentiment of her career. While we live in a world of interconnection, it’s still so easy to feel like we’re not making the impact that we’d like, or that we’re not taking advantage of all of our opportunities. But instead of asking for permission or waiting for opportunities to magically unfold before us Kristy challenges us to make our own opportunities. How? By inviting yourself to the table. 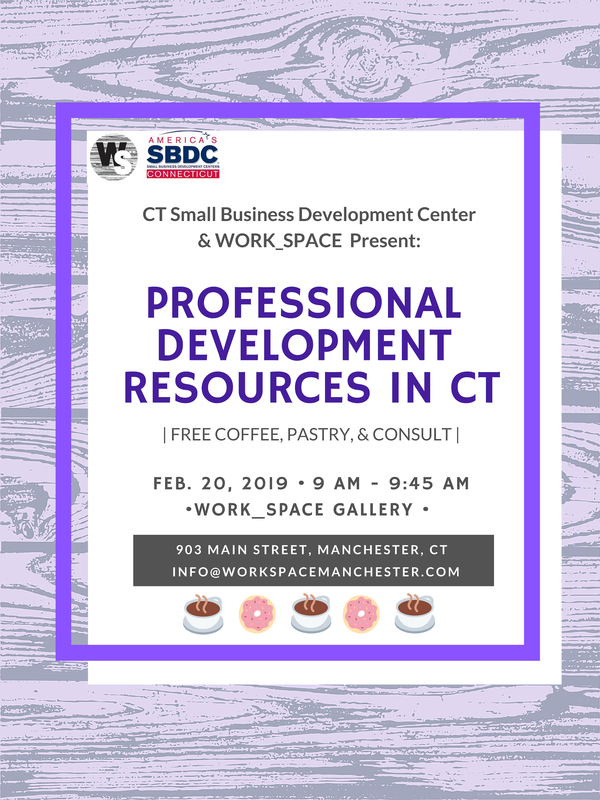 Information Session presented by WORK_SPACE & the CT Small Business Development Center (CTSBDC) Come learn about the resources and opportunities that WORK_SPACE, CTSBDC and the Town of Manchester offer to support entrepreneurs, small businesses and non-profits. This is a free event that includes a tour of WORK_SPACE, access to a business advisor, coffee and pastries. 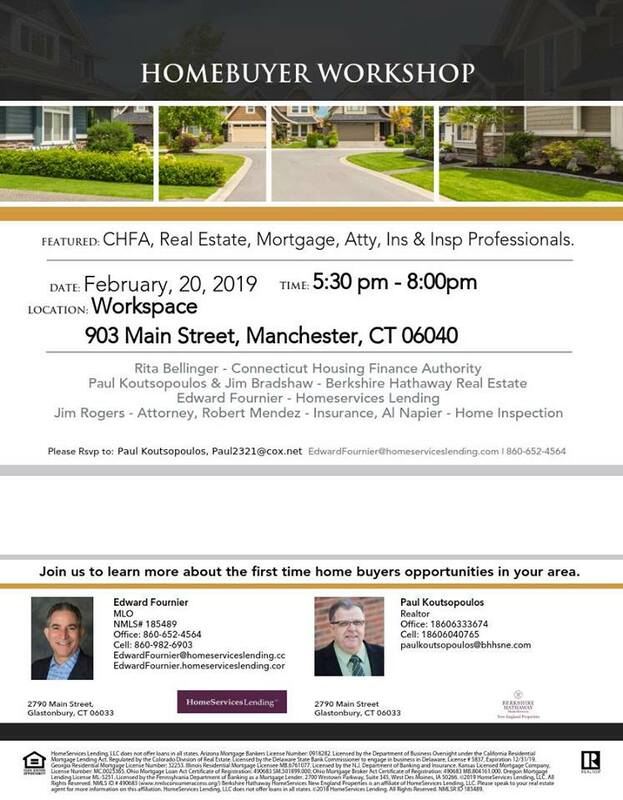 Prospective Home Buyers are invited to speak with professionals about all aspects of the home buying journey. This is a free, interactive experience with local experts.